A Super Bowl party without chicken wings is a sham and potential war crime, but Americans are going to have a harder time acquiring their usual trove this year. 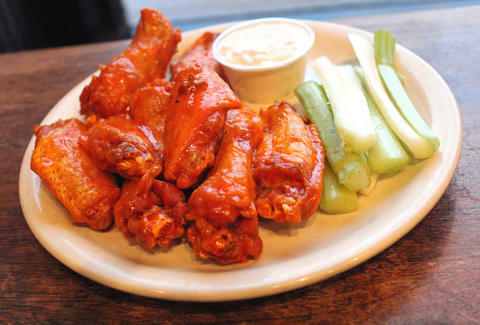 The cost of wings is set to spike dramatically, meaning you may have to forgo your ranch budget to make up the difference. While this year's wings will be fatter -- farmers have been giving their chickens extra feed -- they're also going to be much scarcer. Bloomberg reports that the number of chickens slaughtered dipped significantly last year. We're talking a 50 million wing drop. And that smaller crop is already translating to pricier wings. In Georgia, the cost of wholesale wings sold by processors has jumped 8.2% to about $1.72 a pound. That's the biggest surge in three years, and does not bode great for Super Bowl Sunday, when we consume 1.25 billion wings. It's not entirely clear where the price needle will settle by February 1st, but you definitely need to brace yourself for a beefed-up receipt. And tell that appetizer hog to stay home. Kristin Hunt is a Food/Drink staff writer for Thrillist, and really thinks the National Chicken Council should've been on top of this. Follow her at @kristin_hunt.